"We are absolutely delighted with the Black Horse and must applaud you in your extreme professionalism in achieving such a magnificent development on time; we would have no hesitation in recommending your company to other clients"
"Handover today was superb. They just get better.....a big thank you to all who contributed to this project. It looks fantastic and is a credit to you all"
"In the Ten Years that I have been building at the school this is one of only two projects of which I have absolutely no complaints, the team were very professional at all times whilst remaining approachable and accommodating to any changes which were made along the way - Mark was a joy to work with"
"I visited today. Another great Sparkle. Thank you for all your efforts." 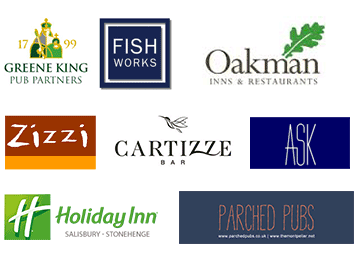 From our head office located in Chertsey, Armfield Retail & Leisure Ltd is a Specialist Contractor offering complete solutions to the restaurant, pub, and hotel industries. Whilst being one of the renowned contractors within the retail & leisure sector we have also successfully completed projects for education authorities and healthcare trusts. With our dedicated site teams we are trusted by clients and professionals to deliver high quality projects on time and within budget with our emphasis on Building Teamwork.